As EVANESCENCE prepare to return this fall with SYNTHESIS, their fourth studio album, the group today, August 18 premiered “Bring Me To Life” (Synthesis), via Rolling Stone, listen (here).“Bring Me To Life” (Synthesis) is available for immediate download to all ticket buyers to the band’s forthcoming tour. The song, a remake of the band’s classic which first appeared on the band’s major label debut album, is also available via streaming and digital stores (here).The first official single from SYNTHESIS, a brand new song,will debutnext month.Tickets for EVANESCENCE’s “Synthesis Live” fall tour are on-sale starting today, Friday, August 18(here). The two-time, GRAMMY® Award-winning group is currently in the studio finishing the new album through August with producers Will Hunt and orchestra arranger and composer David Campbell. 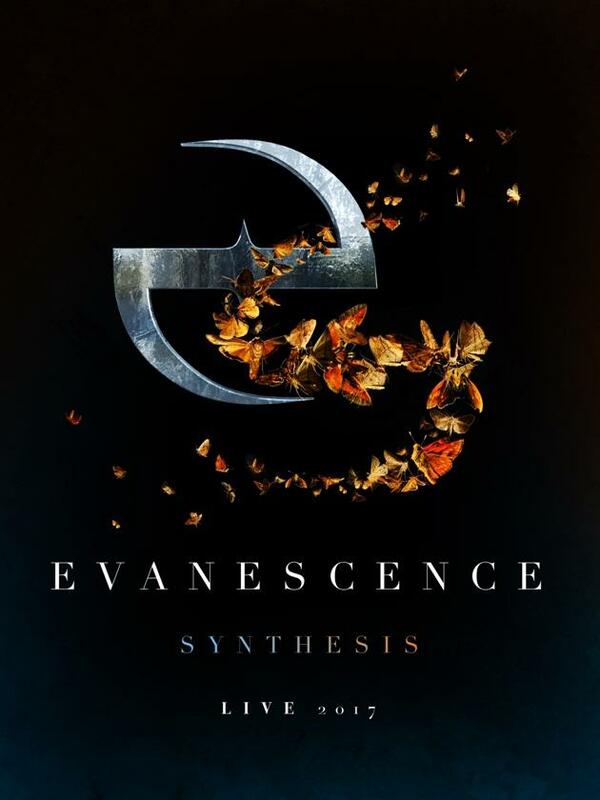 In addition to the re-imagined catalog songs, the forthcoming SYNTHESIS album will feature two new EVANESCENCE songs. 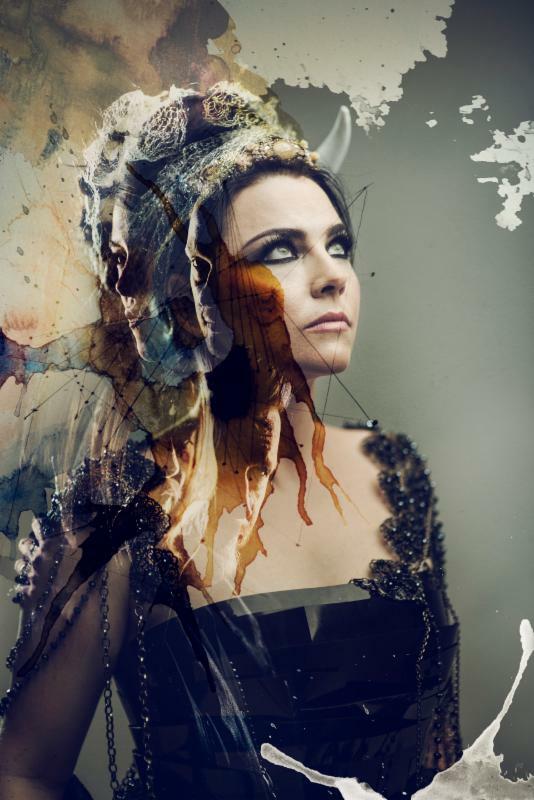 Like the album, the “Synthesis Live” tour (dates below) will feature a reimagining of some of EVANESCENCE’s best-loved songs with the spotlight on full orchestra and electronics combined with the band and Amy Lee’s virtuoso piano and voice. Every ticket sold will come with a download of the new album, SYNTHESIS when it is released later this fall. As an added bonus, ticket buyers will also receive songs from the album prior to the album’s release date, beginning with a stunning new reworking of the band’s biggest hit, “Bring Me To Life.” A variety of VIP ticket packages are available to ensure fans obtain the best seats in the house. Other VIP benefits include the opportunity to meet and enjoy a champagne toast with the band, attend their soundcheck, and receive exclusive merchandise items. For full tour details go to: www.evanescence.com. Expect EVANESCENCE to announce an international tour soon. 2017 promises to be the biggest year for EVANESCENCE yet, as their intense live performances and timeless songwriting combined with a powerful live orchestra and electronics will truly deliver a transcendent experience. Amy Lee of Evanescence: Photo link. Photo Credit: P.R. Brown. 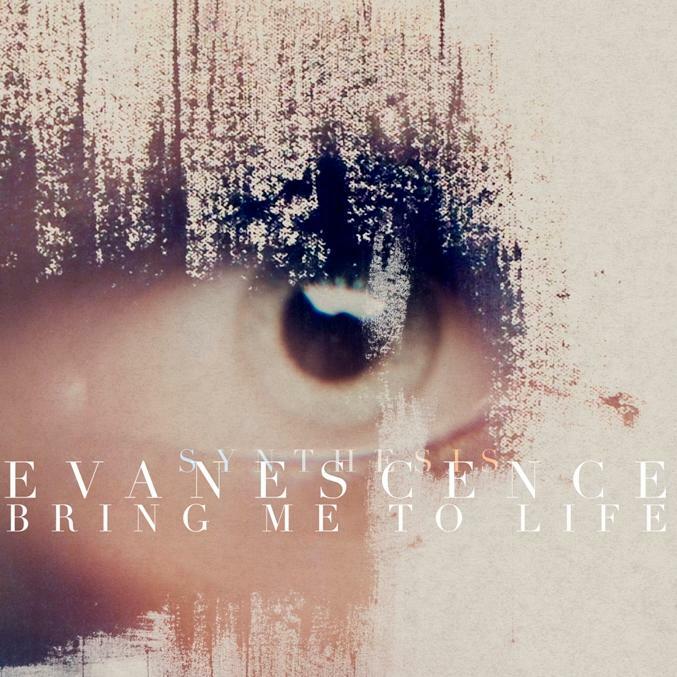 EVANESCENCE “Bring Me To Life” (Synthesis) cover artwork: Link. Evanescence “Synthesis Live” tour poster download: Link. Formed in the mid-90’s, the two-time GRAMMY Award-winning EVANESCENCE has three albums under their belt. The band was integral in establishing a global, critical mass for in rock. The group’s 2003 landmark debut album Fallen laid the foundation; spending 43 weeks on the Billboard Top 10 the album sold more than 17 million copies worldwide and was certified 7x platinum in the U.S. Global hit “Bring Me to Life,” (feat. guest vocals from Paul McCoy of 12 Stones), reached #5 on the Billboard Hot 100 as well as marking their first U.K. #1. The song also became the official theme for WWE No Way Out 2003. The equally popular “My Immortal“ peaked at #7 in the U.S. and U.K., and both songs were featured in the soundtrack for the action movie Daredevil. The album produced four singles total including “Going Under“ (#5 U.S. Modern Rock, #8 U.K.) and “Everybody’s Fool“ (#36 U.S. Modern Rock, #23 U.K.). Fallen is one of only eight albums in the history of the chart to spend at least a year on the Billboard Top 50, it spent 104 weeks on the Billboard 200 and is #32 on the “Greatest of All Time, Billboard 200.”EVANESCENCE has won two GRAMMY Awards including “Best New Artist” and “Best Hard Rock Performance,” out of a total of seven career nominations. Following multiple worldwide tours, EVANESCENCE released their first live album, Anywhere But Home, which sold more than one million copies worldwide. Next, the band released their second studio album, The Open Door, which went on to sell more than five million copies. Their self-titled third album debuted at #1 on the Billboard Top 200 chart as well as achieving the #1 slot on the following Billboard charts: Rock Albums, Digital Albums, Alternative Albums and Hard Rock Albums. After touring European festivals and shows in 2016 and early 2017, EVANESCENCE–lead singer-songwriter and pianist AMY LEE, bassist TIM MCCORD, drummer WILL HUNT, lead guitarist/backing vocalist TROY MCLAWHORN and guitarist JEN MAJURA–will return with their fourth album and most ambitious release to date, titled SYNTHESIS.Due out Fall 2017 on BMG, the band is currently in the studiowith producers Will Hunt and orchestra arranger and composer David Campbell, SYNTHESIS will feature two new EVANESCENCE songs in addition to fan favorites re-imagined with a live orchestra and electronica. EVANESCENCE will launch the “Synthesis Live” tour in North America on October 14; combining their intense live performances and timeless songwriting with a powerful live orchestra, the group will truly deliver a transcendent concert experience. This entry was posted in Evanescence, Press Releases. Bookmark the permalink.